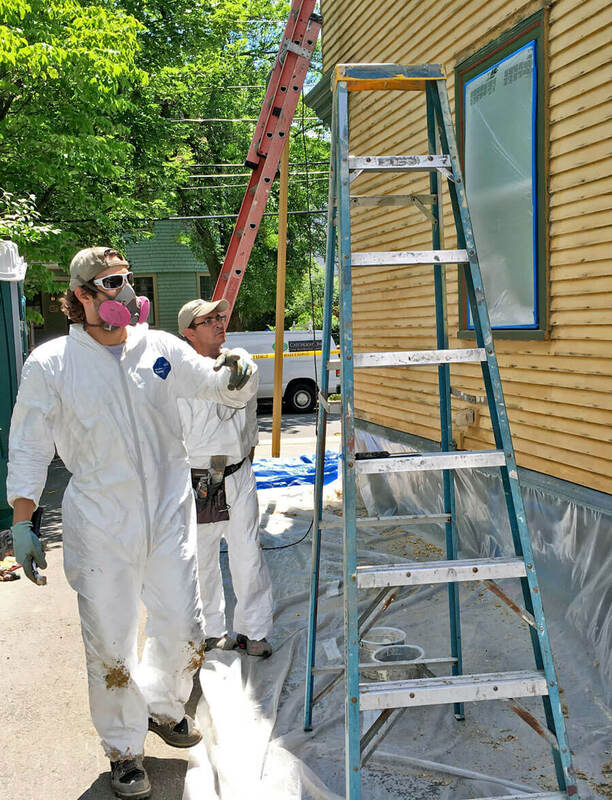 Up until 1978, lead was frequently added to house paint to increase durability and opacity. When intact, existing layers of lead paint pose little risk; when disturbed, chips and dust can be harmful if ingested or inhaled, especially by children. The Environmental Protection Agency and the Massachusetts Department of Labor Standards have adopted regulations to address the risk of lead poisoning. These Renovation, Repair and Painting (RRP) regulations apply whenever the work of a builder, plumber, electrician or painter might disturb more than six square feet of lead paint inside the home, or 20 square feet of lead paint on the exterior of a property built prior to 1978. Not only do the RRP regulations establish licensing and work-safe practices, they also require contractors to provide homeowners with specific information before beginning their work. Catchlight foremen are lead-safe trained and certified. Working safely entails following a series of effective containment and cleaning protocols. When it comes to lead exposure, we take your health and the health of our crew to heart. Catchlight uses state of the art equipment, including HEPA filtered sanders, vacuums and negative air machines. Your foreman and estimator are available to address any questions or concerns you may have. Please use the links to the left to read the EPA Renovate Right brochure, then print, sign and return an EPA Pre-Renovation Form. Your signed form, indicating that you have read the brochure, must be returned to Catchlight before work on your pre-1978 home begins, even if there is no lead present. Catchlight Painting does NOT perform lead abatement services.